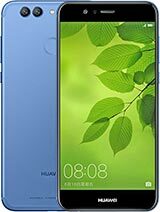 This is yet another amazing smartphone from Huawei, called Huawei Nova 2 plus. It's a smartphone that is powered by HiSilicon Kirin 659 chipset and runs fully on Android Nougat 7 OS amongst other awesome specifications. Huawei Nova 2 plus has a 5.5 inches touchscreen, 4G LTE enabled, packs a 4GB of RAM + 128GB inbuilt memory. That's not all, this beast features a Dual 12 + 8 MP, f/1.8, phase detection rear camera with a single Flash and a sharp 20MP front camera for people who loves taking selfies. Kindly have a look at the full specifications as well as the price of Huawei Nova 2 plus. Price About 380 EUR in Europe / United states $425 / China CNY 2,916 / Nigeria N134,000 / India RS 27,430.